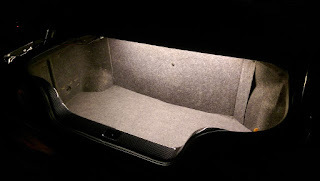 The internal boot (trunk) curtesy light had ceased to function some time ago on the car. More of an annoyance than a necessity, I finally engaged my 'investigating head' and made time to take a proper look. So after I managed to break said clip (and cut my hand on the sharp edge of the sheet metal shelf), I confirmed that the bulb was fine, as was the voltage. So it must be the switch. Where the hell is the switch then.. A quick question on the Skyline Owners Forum on Facebook turned up a quick response. The wiring runs up into the boot/trunk lid and simply plugs into the lock mechanism. So any modification over a missing switch and broken light fitting had to be an improvement! 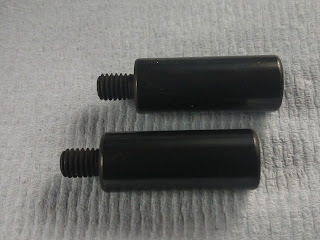 I gave some thought to a trigger switch that could be pressed off and released on with the opening and closing of the boot. However keeping it simple I just decided to install a simple switch. For light I procured a 30cm length of LED stick on strip from a local electrical store (I will not mention the store as it is cheaper via ebay). Buying LED strip off the roll is a drag as you have to solder the wires on, a fiddly process at best! Installation actually took me a couple of hours, although am always quite slow at wiring things and seem to spend all my time tidying and feeding the wires neatly. I installed the small switch (I had found in my garage) in the trim over the passenger side rear light cluster (although it could have gone anywhere). Job done, open boot, flick switch and there was light.. lots of light in fact! I would suggest that an LED strip would be a boon over the existing light bulb even if you do still have a boot lock! However I naturally can't give a wonderful before and after picture for obvious reasons! Hi Aki, great to hear from you. Ahh engine issues.. for they are legion! But in theory they will all go away, be history, a thing of the past... I will have this on my grave stone..